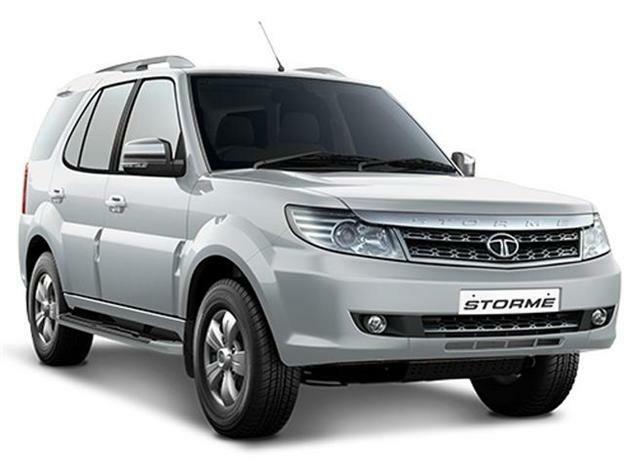 Tata Motors, India’s popular car manufacturer has launched the powerful Tata Safari Storme 400 in India. The car Safari Storme 400 was expected to be introduced during early next year or mid-2016. It is surprising that Tata Motors has brought the powerful Safari to India much earlier than expected. This powerful version of Tata Safari Storme will get a mighty Varicor 400 iteration of its 2.2 litre diesel engine and a brand new gearbox. The new Safari 400 has been priced at Rs 13.52 lakh (ex-showroom, Delhi). As of now, the new Safari Storme is available only in the top VX trim. When we talk about the specifications of new Safari 400 – the car develops 154.8bhp power and 400 Nm torque as against to 148bhp and 32.63kgm of torque of the 2.2-litre engine powering the lower variants. What distinguishes Tata Safari 400 from its predecessor is the new Varicor 400 engine which is paired to a new 6-speed manual transmission gearbox and shift-on-the-fly all-wheel drive (AWD). The lower variants of the new Safari Storme continues to get 5-speed manual transmission gearbox. Other than getting equipped with Varicor 400, Tata Safari Storme gets no other cosmetic changes over its less powerful iterations except for the new Varicor 400 badging. When it comes to the features of the new Tata Safari Storme Varicor 400, the car gets all the features present in the face-lifted Safari Storme, including a new audio system with USB, Bluetooth and AUX connectivity, rear parking sensors, steering-mounted controls and a rear passenger centre arm rest. 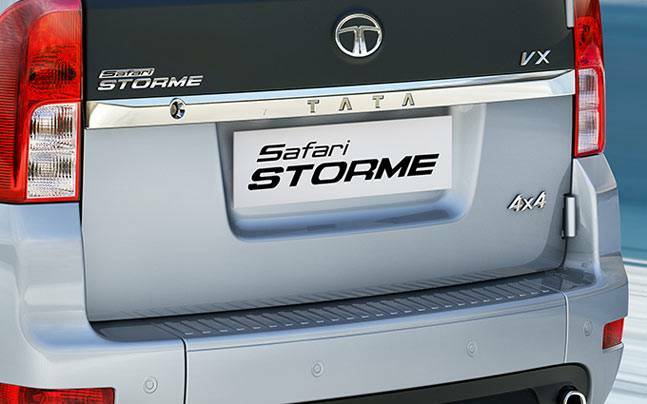 While the new Tata Safari Storme with Varicor 400 badging is available only in the VX trim, the other Safari Storme variants gets the 150PS power with the EX and LX. This engine and transmission combo was first showcased in Tata Hexa concept car. The Tata Hexa is expected to replace the Tata Aria and will be launched in India sometime in mid-2016. With the brand new engine, Safari Storme Varicor 400 would get a self-adjusting clutch mechanism. Safari 400 gets some of the best-in-class features like Bluetooth-enabled Harman music system, reverse parking sensors and multi function steering wheel. The safety features of the car include twin airbags, disc brakes on all 4 wheels as well as ABS (Anti-lock Braking System) and EBD ( Electronic Braking Distribution).